The purchaser agrees to accept these terms and conditions by placing his/her order. The site visitor agrees to accept these terms and conditions by browsing the site. This warranty does not cover damage due to neglect, misuse, abuse or accident. The purchaser agrees to pay for the freight of any goods to be returned under this warranty and to contact Soursop Australia before returning goods under this warranty to receive a return authorisation. Soursop Australia ensures that your order is packaged and handled with due care. However, if you received a damaged, defective or incorrect item you may return any of the goods purchased from Soursop Australia within 30 days of delivery, for a full refund. Please contact Soursop Australia prior to returning any goods. The cost of return freight will be the purchaser’s responsibility. All other goods will be replaced free of charge. We will only issue refunds for the return of items that have no signs of obvious use. All recommended retail and wholesale prices quoted on this website are in Australian dollars and exclusive of shipping and handling fees. All orders will be paid by Paypal and will use the exchange rate on the day they are charged, which might vary from the exchange rate on the day of order. Soursop Australia uses the latest encryption technology to protect your information while it is on our computers. The same high strength encryption is used to transmit your information from our secure server to our computers. We do not keep any credit card information on our server. Please Note: Payments are due in full on the placement of order. Your order will only be dispatched once your payment has been received. We will contact you on receipt of your order to confirm your payment and delivery details. We accept Paypal for your security and convenience. Note: Transfer Fees and Shipping Fees are not included in our unit prices. If necessary, we will contact you on receipt of your order to quote your shipping fees based on the quantities you order. All freight charges (including freight charges involved in warranty claims) are the responsibility of the customer. Soursop Australia delivers Australia wide using the services of Australia Post. All freight charges quoted include basic insurance. Orders placed will be dispatched within 24 hours. Freight charges vary according to the destination and the size and weight of the parcel. Freight is calculated at the checkout and cost depends on the method of shipping you select to use at the point of sale. We do not seek to profit from postage charges and only charge you what you would pay if you were shipping the item yourself. 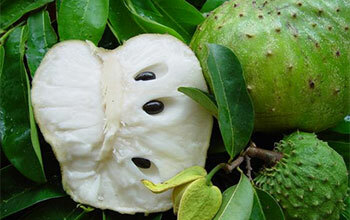 Soursop Australia is based in Melbourne, Australia. We will happily ship purchases overseas using Australia Post, but once deliveries have left Australia we may have no way of tracking them. Please note that international shipping is shown on the checkout total for overseas orders. We do not ship to certain countries as we have found not all accept soursop leaves or the order does not reach its desired destination. If the overseas country the goods are being shipped to has rejected your goods, Soursop Australia cannot be held responsible. On most occasions where products are confiscated the goods will be destroyed and not returned to the sender. 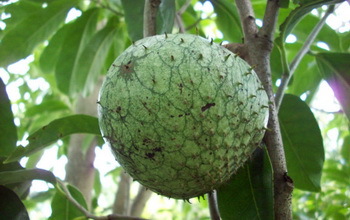 It is the responsibility of the purchaser to check the international country’s customs laws to ensure soursop leaves will be accepted in that country. Please check the International Post Guide for more details on the country you wish to send to. Customs (importation duty) laws – and the application of these regulations – vary widely from country to country, state to state – even from time to time. Soursop Australia does not accept responsibility for payment of customs duty should it be levied in the customer’s country. In the case of any product being temporarily out of stock, Soursop Australia will inform the customer and supply as soon as new stock is available. Even though considerable care has been taken with the preparation of all information and prices on this site, Soursop Australia will not be held responsible for typographical or other errors or omissions regarding prices or any information given. 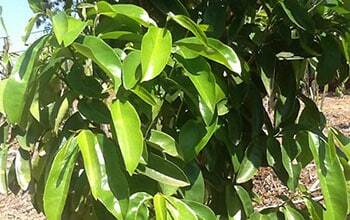 The links supplied will let you leave Soursop Australia site. The linked sites are not under any control of Soursop Australia and Soursop Australia are not responsible for the contents of any linked site or any link contained in the linked site or any changes or updates to such sites. Soursop Australia is not responsible for webcasting or any other form of transmission received from any linked site. Soursop Australia is providing these links to you as a convenience and the inclusion of any link does not imply endorsement by Soursop Australia of the site. 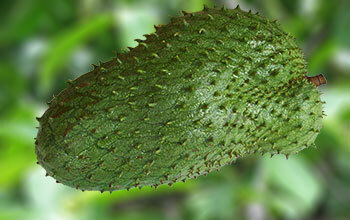 Soursop Australia cannot be held responsible for the side effects of taking any of our products. The owners of this website, nor the designer of the site accept any responsibility for such use. No claims or guarantees, express or implied, are made for any clinical or therapeutic applications of any products mentioned herein. Information, statements, and products on this website have not been evaluated by the FDA or TGA and are not intended to diagnose, mitigate, treat, cure, or prevent any disease or health condition. Anyone with a health problem should always seek professional advice and supervision from a qualified health care professional knowledgeable in treating that particular problem.